A man who's spent more than two decades in prison in the conviction of a 1992 murder of a Staten Island woman may go free before Christmas because another man has confessed to the murder. Andrew Siff reports. A judge is considering the possibility of whether the wrong man was sent to prison in the murder of a Staten Island woman 26 years ago. Foster Thompson Jr., 53, spent more than 20 years behind bars at Greenhaven Prison in Dutchess County, and the past year at Sing Sing up in Westchester, after being convicted in the 1992 murder of Cynthia Browning. Now his family and lawyer are attempting to get his conviction overturned as he continues to serve his 35 years-to-life sentence. "Let him come home to his family," said his sister, Sharon Thompson, in tears Friday. "Please, I beg for justice to be served for my brother." Thompson's lawyer, Abe George, is asking the judge to throw out the case because he says another man recently confessed to the crime. "We didn't just want to get him out on a technicality," said George. "We proved he's actually innocent." But prosecutors say that at the 1994 trial, an eyewitness placed Thompson at the scene of the armed robbery that turned deadly. And as for the so-called real killer's confession, a spokesman for the Staten Island district attorney told News 4 New York, "There is insufficient credible evidence to support an application to set aside the jury's verdict at this time. Of course, we will continue to look at any additional facts if they are brought to light." Thompson's father, Foster Thompson Sr., wondered, "Why are they still holding my son? It don't make sense. They know he didn't do it." 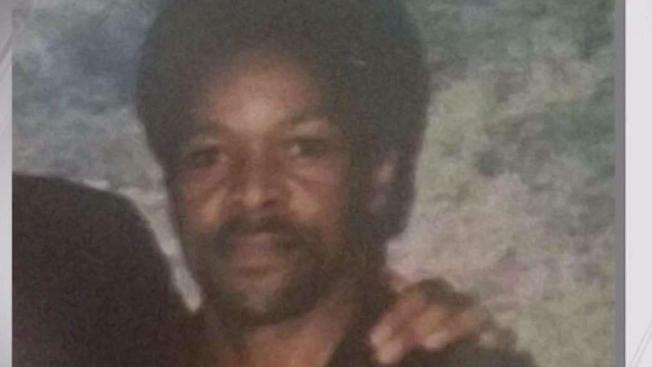 Thompson Sr. and wife Brenda have been married 61 years, with eight children and 49 grandchildren -- and they've believed for a quarter century that their son is an innocent man wrongfully imprisoned. "It's so heartbreaking what's going on still," said Brenda Thompson. The judge said Friday he'd decide Thompson's fate in two months, on Dec. 14. Brenda Thompson said it would be "a blessing for all of us" if the judge sends her son home before Christmas.